Jaipur: Rajasthan Royals and Royal Challengers Bangalore will look to log their first win of the season and get their campaign back on track before it is too late, when they lock horns in an Indian Premier League (IPL) tie at the Sawai Mansingh Stadium on Tuesday. Both Royals and RCB have lost their opening three encounters and find themselves rooted to the bottom of the table. Owing to better net run rate, the Royals are above RCB, who succumbed to a mammoth 118-run defeat on Sunday and are at the foot of the standings. Royals too, were defeated by Chennai Super Kings though they gave a good fight. 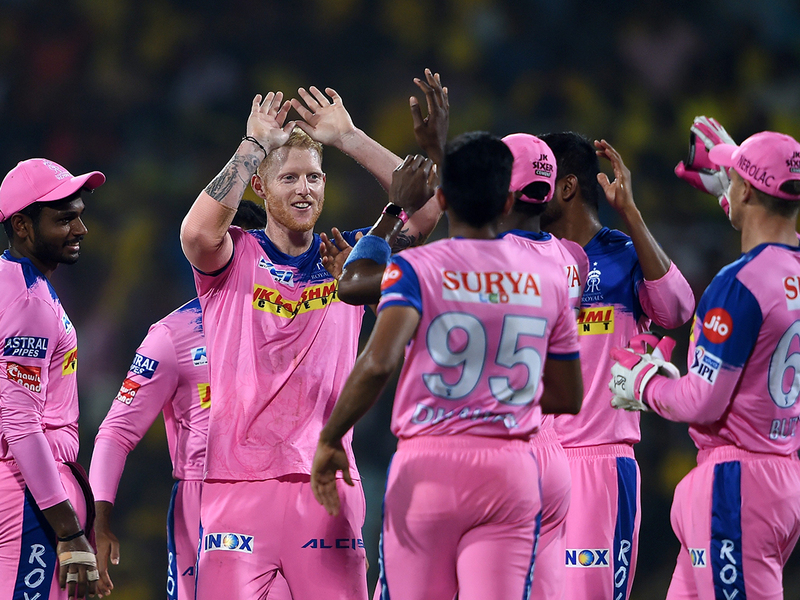 After Mahendra Singh Dhoni led Chennai to 175-5 despite a slow start, Royals kept themselves in the chase throughout, but eventually fell short by eight runs with star England all-rounder Ben Stokes scoring a 26-ball 46. Jos Buttler has struggled lately and skipper Ajinkya Rahane failed on Sunday night. Returning from a one-year ban for his role in ball tampering, former Australia captain Steve Smith is also struggling to find his rhythm although there are questions as to whether he should bat at No. 3. Sanju Samson struck a brilliant hundred against Sunrisers Hyderabad but Smith can be best utilised at No. 3 and it remains to be seen how Royals’ think tank go about it. Ashton Turner is yet to get a game and in order to steady their ship, Royals could draft in the dashing Australian batsman, who smashed an unbeaten 84 off 43 balls with the help of five fours and six sixes as India’s total of 358-9 was made to look ordinary in the end of the fourth ODI in the recently concluded series. In the bowling department, Jofra Archer has been excellent for the Royals and would look to continue his good work but will need support from the other end as well. Virat Kohli-led RCB looked listless against Sunrisers on Sunday with David Warner and Jonny Bairstow taking their bowlers to the cleaners en route to whirlwind hundreds. Despite having Kohli and AB De Villiers in their batting arsenal, RCB have failed to deliver with the team being over-dependent on the star pair.